Putting down a deposit for a home purchase may be one of the best feelings for just about everyone. A home is an incredible asset for most people, which is why it has to be right. Quite often, buyers end up with properties they cannot afford and end up getting into financial trouble in the long run. Regardless of how beautiful and appropriate a home is, never buy it if it doesn’t fit your pocket. The size of the down payment usually dictates how much you will pay in interest. If you can afford to put down a considerable amount, then count on a favourable home loan. Usually, 20% is the amount that most sellers will ask for as deposit. If you can make that, then you won’t have to get private mortgage insurance, which means saving money. Have an idea of how much you want to spend on your home. This figure will give you a starting point when saving for your deposit. Aim to save at least 5-20% of the total. Home loan lenders are available all over, but only a few may suit your needs. 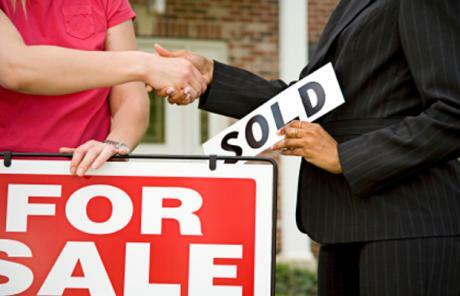 The lender you choose will determine how well the home buying process turns out. Firstly, consider the different loan products available for selection. Understand the difference between one mortgage and the next one.For instance, a mortgage with a fixed interest rate may be preferable to you than a comparable interest rate. Never start looking at potential buys without getting pre-approval for a loan. The point here is that with pre-approval, you have an idea of the budget to work with. This mistake is one that most people fall into unknowingly. Defaulting on loan payments means foreclosure, leaving you without an asset and with bad credit. From the first step, look at the loan repayment options that a lender is offering. Is your income enough to sustain them? The good thing is that mortgage lenders conduct stress tests to see the ability of a borrower to make payments. Nonetheless, take the time to analyse your financial situation and see if buying a home is feasible. Another common error in judgment that potential buyers make is to budget only for the price of the home. Buying a property in Dublin means incurring so many other costs. First, there is the cost of retaining an estate agent. Then you have to consider the solicitor who is crucial to the process, particularly when closing the deal. Then there are survey costs, paying for movers, furnishing (if you have to), and insurance. Depending on the condition of a home, especially in “as is” purchases, you may have to spend money on renovations. There is also the VAT tax, which is 12% in Ireland. You have to consider the stamp duty as well, and that can be between 1-2% of the market value. Don’t forget the fees that come with mortgage processing. All these factors will contribute towards getting you a home you can afford.